Remember a couple weeks ago when the Washington Redskins submitted a laundry list of registered trademarks that its counsel contended were offensive or disparaging? And remember when that same week the makers of “Nut Sack Double Brown Ale” beer were granted a federal trademark registration over similar objections? You should – I wrote it on the paper. Now another beer maker has been granted what I will call a questionable trademark registration. One that I am sure would have been listed right at the top of the Washington Redskins’ bad name list. LEFT NUT BREWING COMPANY is now a federally registered trademark. Really. On November 13, 2015, the Trademark Trial and Appeal Board reversed the decision of the trademark examining attorney and granted the registration. 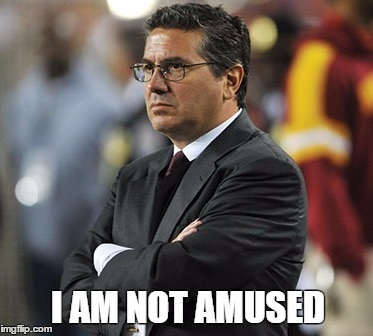 I am sure that Daniel Snyder is handling this news with calm, cool reflection. Or whatever the exact opposite of that is.